John Ryan’s appointment as Controller and Auditor-General was confirmed by Parliament in April 2018. An accountant and member of Chartered Accountants Australia and New Zealand, John has had a long and successful career in New Zealand’s public sector. He has held senior executive positions in a range of government organisations and in the private sector. His experience spans corporate functions, regulatory and operational management, and assurance. During his career of more than 30 years, John has led some of the largest programmes of capital works in the public sector. He also has a background in change management and developing new and improved ways of working in large service delivery organisations. As well as extensive experience as a leader of people and programmes, John has also contributed widely to his community and the arts sector in particular. Before his appointment, he was a board member of the Royal New Zealand Ballet, the New Zealand Festival, and the Wellington Jazz Festival. John is a Fellow of the New Zealand Institute of Chartered Accountants. 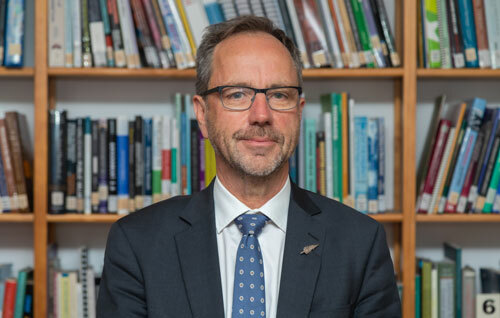 His term as Auditor-General began on 2 July 2018.